In recent years we’ve seen a number of major shifts in the online experience, mostly coming from the proliferation of mobile devices. The evolution of the Web has taken us from single versions of a website, to desktop versus mobile versions, to responsive sites that adapt according to screen size, then to native mobile apps, which either recreate the desktop experience as a native app, or act as a gateway to the responsive version. The latest iteration of all of this is the progressive web app (PWA). A PWA is a software platform that aims to combine the best of both the Web and the native experience for website/app users. In this article on CSS and PWAs, we’re going to discuss a number of techniques that can be used when creating the CSS required for the development of PWAs. There are three main features of a PWA. As you’ll see, what makes a web app progressive is the “fixing” of problems typically associated with web apps, by adopting some of the techniques used by native apps to resolve these issues. Reliable. A PWA should reliably load like a native app (no matter the state of the network). This is contrary to a web page, which typically does not load if the device is disconnected from the network. Fast. The performance of a PWA should be independent of such things as geography, network speed, load or other factors that are beyond the control of the end user. Engaging. PWAs should mimic the native app’s immersive, full-screen experience without requiring the need of an app store, even supporting such features as push notifications. There are other features PWA features, but for now, we’ll keep to the most important ones described above. Google has been at the forefront of pushing these kind of apps, but the adoption of PWAs has been picking up with vendors and plenty of other companies on the Web helping the adoption and embracing the concept of PWAs. Progressive web apps represent the next great leap in the evolution of web design and online presence management … they take the best aspects of native apps, such as a feature-rich experience and the ability to be accessed offline, and incorporate them into responsive websites. This creates an incredible web experience for users without the need to download anything onto their device. Anyone providing web design services to clients is going to want to offer PWAs because over time, just like with mobile and responsive web design, it will become the industry standard. What is Required for Developing PWAs? Developing a PWA is not different from developing a standard web application, and it may be possible to upgrade your existing codebase. Note that for deployment, HTTPS is a requirement, although you can do testing on the localhost. The requirements for an app to become a PWA are discussed below. 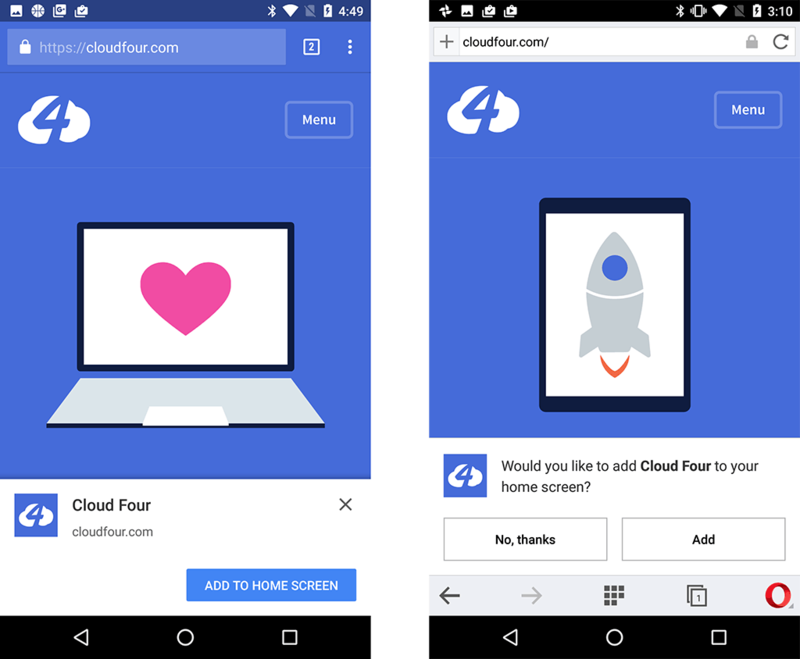 PWAs must be available to install directly via a website which has been visited, meaning there’s no need for a third-party app store to get the app installed. To enable this, the app needs to provide a manifest.json file — a JSON file that allows the developer to control how the PWA appears, what needs to be launched and other parameters. A typical manifest file appears below. As we can see, the properties are setting a number of look-and-feel settings that will be used on the home screen of the device where the app will be installed. The styling of the PWA starts from the manifest file, but there’s no real CSS involved in this part. It’s just straight up properties, which define the application’s name, icons, primary colors, etc. The service worker is what makes the PWA truly offline capable. Developing PWAs is not very different from developing web apps, as long as the fundamental requirements have been met. 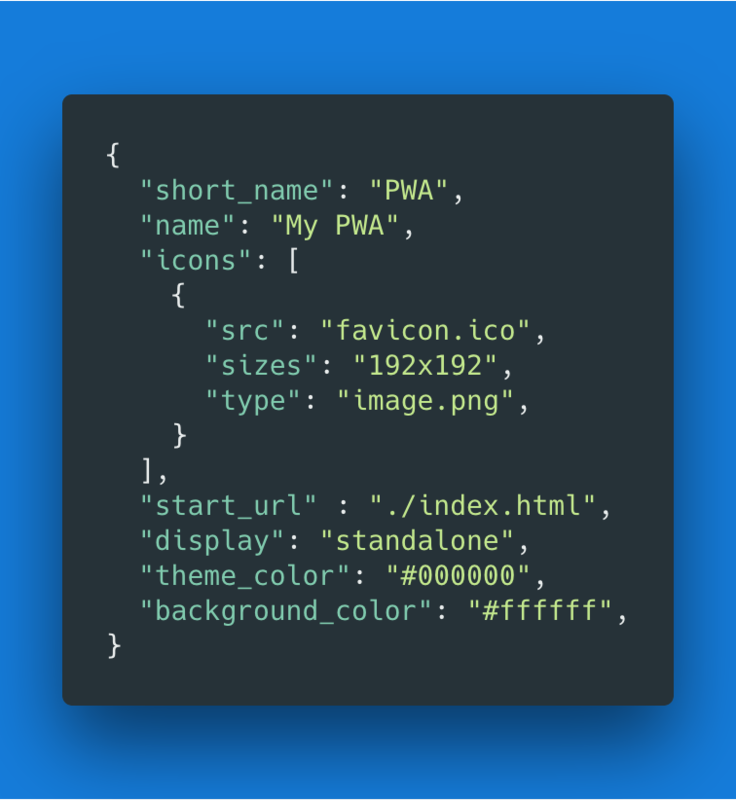 This is where the CSS starts to get involved, with the files defined that will be used to style the progressive web app. When considering CSS and PWAs, there are things we need to keep in mind. All of these are decisions that need to be taken before the development of a progressive web app starts. Should the App Follow Platform-specific UIs? If we opt for one platform in favor of another (let’s say Android in favor of iOS) we risk alienating or putting at a disadvantage that part of the audience we didn’t consider. We’re also tying our fortunes to that platform — whether good fortunes or bad ones. It’s also quite likely that platform designs change as they evolve between different versions. My opinion is that vendor tie-in should be avoided as much as possible. Based on our previous consideration, the ideal is to opt for a mostly platform-neutral design. If this path is chosen, we should ensure that the result doesn’t stray too much in form and function from the UI that the native platform exposes. One needs to use standard behaviors and perform-extensive user testing to ensure no UX problems have been introduced on specific platforms. As an example, it’s highly recommended to avoid custom-written components and opt for standard HTML5 controls, which the browser can optimize for the UI and best experience. The way forward for PWAs — even if at this point they’re mostly focused on devices — is to become a holistic solution for all platforms, including desktops. As of May 2018, Chrome supports PWAs on desktops, and other vendors will soon be supporting this too. Your CSS and styling considerations need to factor all of this and design for this from the get-go. The beauty of working with a PWA, though, is that you can use a combination of CSS and the Service Worker implementation to enhance or limit the functionality based on the resources available. CSS in general is able to fall back gracefully; any unsupported properties are simply ignored. Having said that, one also needs to make sure that critical elements have the right fallbacks, or are not missing any essential styling. Variations of this logic can be used to handle different use cases, such as the styling for specific platforms, and others that we’ll mention later on. Although PWAs have a number of advantages when it comes to the user experience, they shift a lot of responsibility back to the developer when it comes to dealing with the nuances of different technology. Speaking as a developer/Product Manager, who understands the delicate balance between user needs and the limited availability of development resources, I would always recommend finding a middle ground that covers as many use cases as possible, without putting too much overhead on the development and testing teams. The emergence of design standards such as Material Design, and frameworks such as Bootstrap, helps to establish platform-agnostic designs. The actual framework used is typically able to address devices of different capabilities, while the design school provides a homogeneous look and feel across platforms, allowing the developer to focus on the App’s features and functions. If, on the other hand, you’d rather go down the whole separate look and feel, you’ll be able to use your service worker to be able to do this. For example, the navigator.platform method returns the platform on which the app is running, while the navigator.userAgent returns the browser being used. The browser agent is unreliable when it comes to detecting the browser, so the code below is more of a demonstration of a concept rather than code that should be used in a live environment. The navigator.platform is a more reliable method, but the sheer number of platforms available makes it cumbersome to use in our example. * Determine the mobile operating system. * This function returns one of 'iOS', 'Android', 'Windows Phone', or 'unknown'. // Windows Phone must come first because its UA also contains "Android"
Using the return value of getMobileOperatingSystem() above, you can then register a specific CSS file accordingly. From the code above, we can see that such logic can get very convoluted and difficult to maintain, so I would only recommend using it in situations where a platform-agnostic design is not suitable. Another option is to use a simpler color scheme, only CSS applied to the primary styles that matche the underlying OS, though this could still “break” in the case where users have skinned their device. When learning how to develop a PWA, it’s great to create everything manually: it’s an excellent way of learning all the fundamentals concepts of building progressive web apps. Once you’ve become familiar with all the important aspects, you might then start using a few tools to help you out, increasing your development efficiency. As with most development scenarios, frameworks are available to make development of PWAs faster and more efficient. Each of these frameworks uses specific CSS techniques to ensure that the development process is maintainable, scalable and achieves the needs of both the developer and the end user. By using such frameworks, you can ensure that your PWA works nicely on most devices and platforms, because the frameworks usually have cross-platform capabilities, although they may offer limited backward compatibility. This is another of those decisions you’ll need to take when deciding what you’ll be using to develop your progressive web app. By using frameworks, you cede some of the control you’d have if writing everything from scratch. Below we’ll suggest a number of frameworks/tools that can be used to aid development of PWAs. A word of advice, though: frameworks add a lot of overhead when it comes to performance. We recommend that you only use these resources when starting out, eventually opting out of using them and going for minimalistic, lean stylesheets, using a platform-agnostic design. 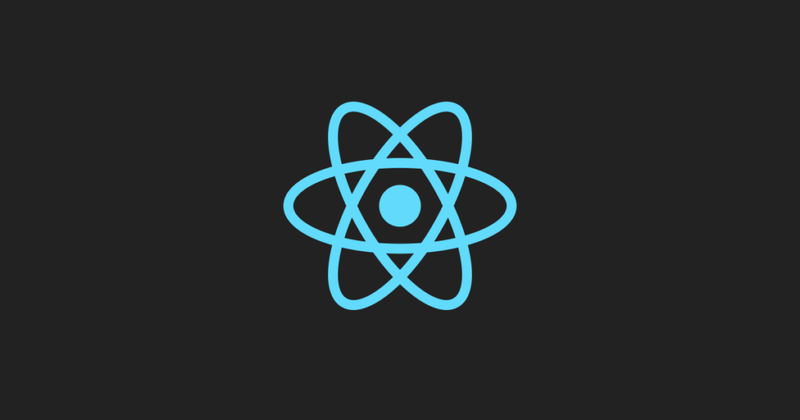 React has all of the components in place to allow the development of a PWA, by using such libraries as the Create React App. 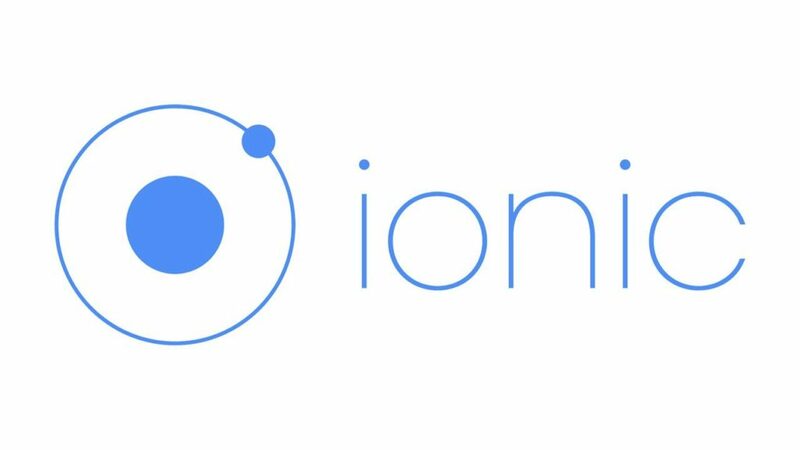 This is a great example of creating a React PWA with this library. Given that Angular is a product of Google and how we’ve seen the company pushing for PWAs, it’s no surprise that Angular has full support for PWAs. 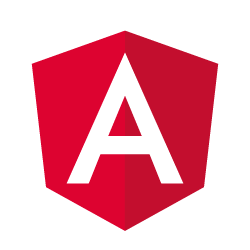 If you’re used to working with Angular, you could consider using this as your framework of choice. This is a great article which guides you through creating a PWA with Angular. has a built-in service worker and manifest support. This is a premium framework that includes a number of developer-oriented and team-oriented features such as rapid prototyping, to make development faster. One of the fundamentals of progressive web apps remains that of a fast and engaging user experience. For this reason, when considering the CSS, one needs to ensure to keep things as lean and minimalistic as possible. This is one of the aspects where frameworks start to suffer. They add extra CSS resources that you’re not using, which can reduce performance in PWAs. minify all of your CSS resources and implement other optimizations such as compressing resources, optimizing images and use optimized image and video formats. The Google guidelines on performance have other details you should keep in mind. 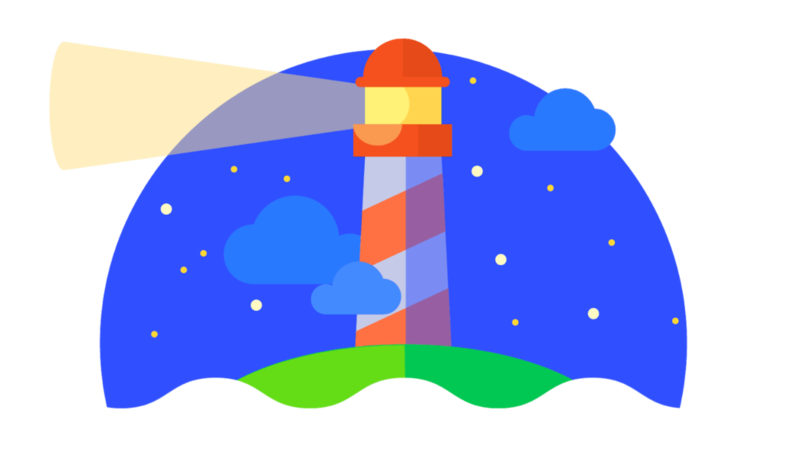 Speaking of performance, the Google Lighthouse is a performance monitoring tool centered specifically around increasing performance, both of websites and progressive web apps. Lighthouse, which used to be a plugin for Chrome, is today built-in with the Chrome Developer tools. It can be used to run tests against the progressive web app. The test generates a report which has plenty of detail to help you keep your development within the performance parameters of a PWA. Using CSS and PWAs together has a few differences from using CSS to develop your web application or website (particularly in terms of performance and responsiveness). However, most techniques that can be used with web development can be suitably adopted for development of progressive web apps. Whether you use frameworks or build everything from scratch, weigh the benefits against the disadvantages, take an informed decision and then stick with it. David is an inquisitive web designer who frequently shares his tips and tricks at CollectiveRay . When he’s not blogging about web design, something he’s been into for the last 12 years, he’s usually dreaming about his next big thing.